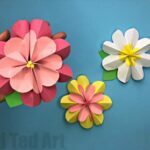 We do love Paper Crafts here on Red Ted Art. 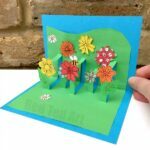 Paper is so wonderfully versatile and is a great craft material for young and old to work with. 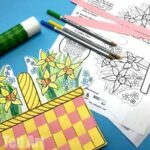 Earlier this year, we shared with you some fantastically realistic Paper Daffodils…. 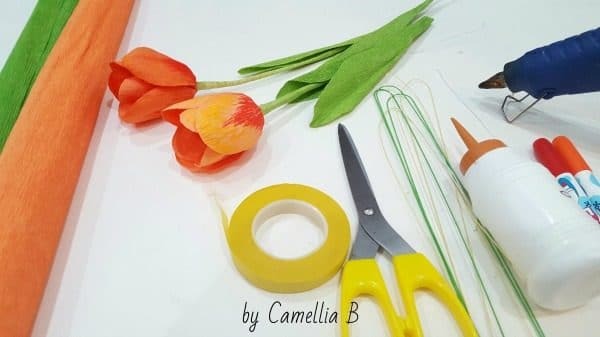 and today, we have invited the create of those paper daffodils, Camellia B, back to share her **AMAZING** and of course realistic Paper Tulip Craft. 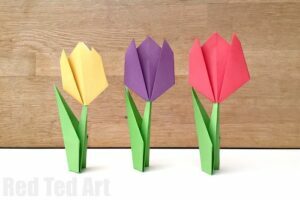 Now both the Paper tulips and paper daffodil crafts are crafts for older kids or grown ups. However, should younger child want to have a go, I am sure these could work really well as a collaborative project too. 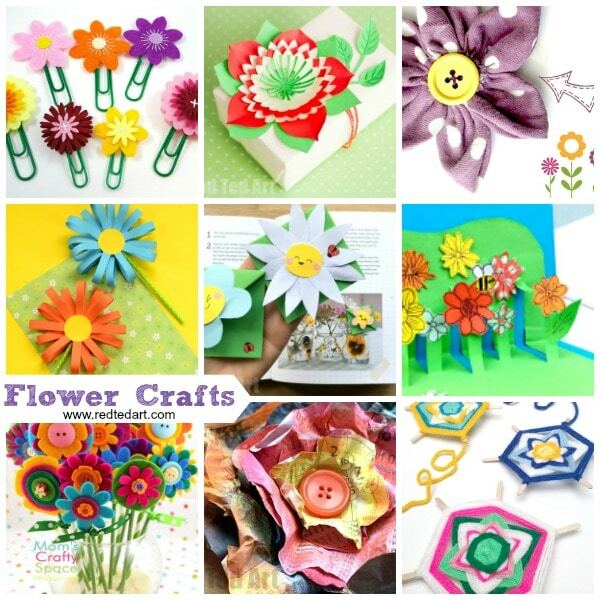 They are a great contribution to our Flower Crafts round up, as well as ideas for Mother’s Day Crafts!!! 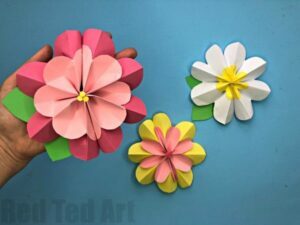 Hope you enjoy these beautiful Paper Flowers as much as we do. 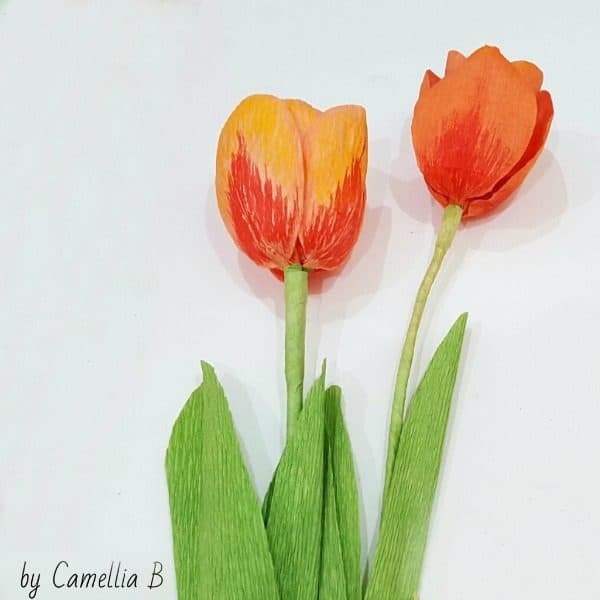 So, as mentioned, this Realistic Paper Tulip is by Camellia B on YouTube. 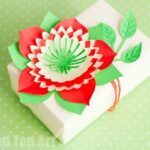 If you haven’t already discovered and explored this wonderful paper crafts YouTube channel you must take a look today and follow!! Watch the lovely Camellia’s super easy to follow YouTube video here! 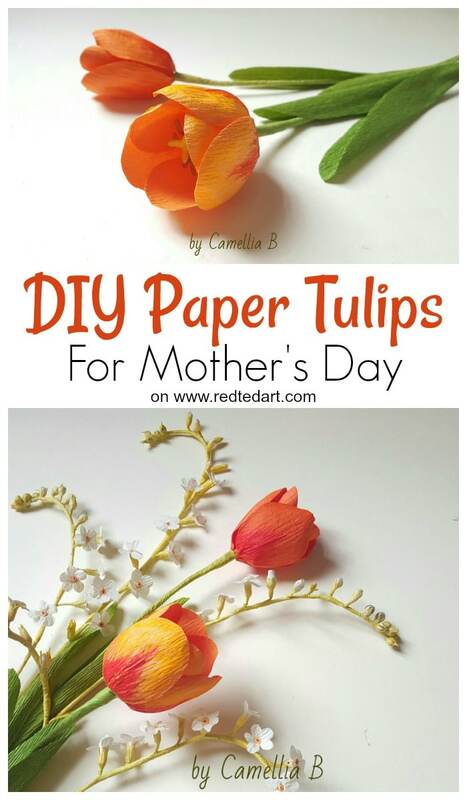 And create your own bunch of realistic paper daffodils in no time!! Aren’t they simply GORGEOUS? 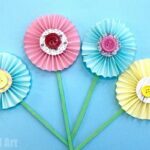 These realistic paper flowers would make a wonderful project for a teen or grown up this Mother’s Day. They would also make fantastic Teacher’s Gifts at year end too. So soooo pretty! And I love how you can have the full pleasure of tulips, without the “droopiness” of tulips. Just gorgeous. 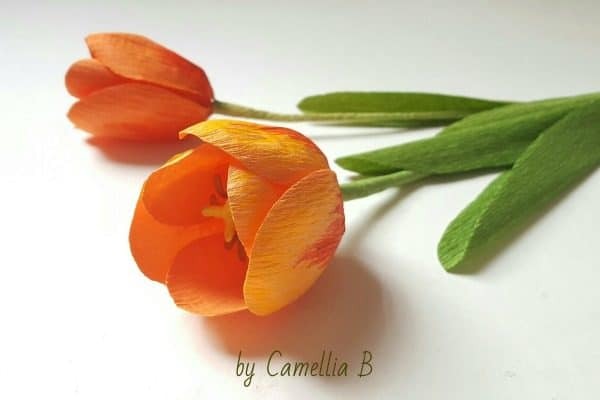 I hope you are as impressed with these gorgeous flowers as I am.. and that you hop over to Camellia’s YouTube channel to take a look. 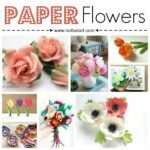 She has so many more great flower designs for you to browse and be inspired by!! 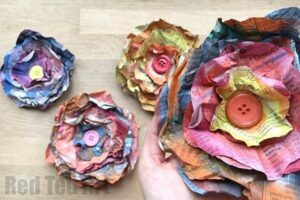 Which realistic paper flower will you make next?! 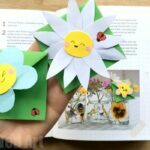 We adore flower crafts and have a number of beautiful and (easy) Flower Craft Ideas for you to check out and browse here, including many suitable for younger kids! 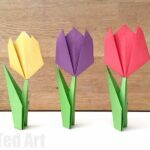 Enjoy this stunning and realistic paper tulip craft and hop to see you here again soon!